HAPPY (BELATED) ANNIVERSARY TATUM PEDIATRIC DENTISTRY!!! 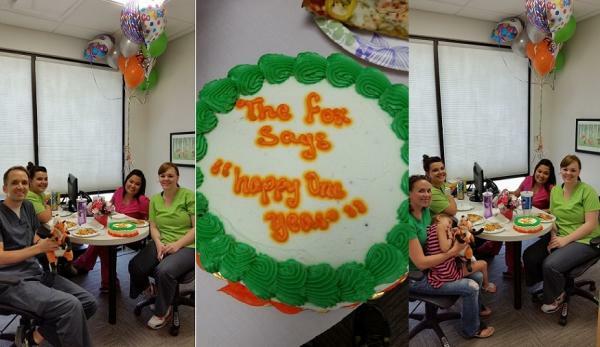 HAPPY FIRST YEAR, TATUM PEDIATRIC DENTISTRY!!! We are greatful for our first year! It's been a great privilege to be part of this community and to be the dental home for so many wonderful families! Here's to many more anniversaries!! !